What is Sunrise Family Practice? As the name implies Sunrise is a new day, a fresh start, a new beginning, and can be a brighter day, every day. Sunrise Family Practice is an independent clinic founded by Jololene Allan, APRN, FNP-BC who has a passion for helping others. What does APRN mean? APRN stands for Advance Practice Registered Nurse for which I am licensed in the State of Utah. FNP-BC stands for Family Nurse Practitioner- Board Certified by the national organization, American Nurses Credentialing Center. This certification requires re-certification in my specialty every five years to maintain my state licensure. A nurse practitioner is a four-year degree professional registered nurse, with additional educated and training, at least the Master’s degree level, to provide health promotion and maintenance through diagnosis and treatment of acute illness and chronic conditions. Our Mission is to listen to your healthcare concerns and needs and to offer individualized healthcare- healthcare for all. Our clinic hours are designed to serve working individuals and families who need evening appointments for their normal healthcare needs. We recognize the difficulty and financial impact of trying to get off work and take kids out of school, when obtaining regular healthcare during “normal business hours” of a day time clinic. Routine health care – Wellness exams for yearly physicals, well child exams, school and sports exams, and Missionary exams. Chronic disease care and education – Diabetes, high blood pressure, high cholesterol, hypothyroid, mental health care medication management, and more. Acute care – Illnesses, minor injuries, lacerations, and sprains/strains. Most Insurances are accepted, including Medicare, Medicaid, and cash discounts for self-pay at the time of service. I am a Family Nurse Practitioner who has been in practice for eighteen years. My education includes: Graduate of Westminster College, Bachelors of Science in Nursing. Brigham Young University, Masters of Science in Nursing Administration. Westminster College, Family Nurse Practitioner. I have experience in Primary Care, Urgent Care, and Mental Health Care. I also enjoy teaching others in the nursing field. I taught for eight years in an Associate’s Degree Nursing Program and have precepted many Nurse Practitioner students over the years. I have enjoyed providing primary care because of the relationships developed with clients and helping them to improve their health. My moto is that “I am your Cheerleader.” I am here to educate you, guide you, and most importantly encourage you to achieve your best health. My hobbies include quilting/crafting, gardening, and being a grandmother. 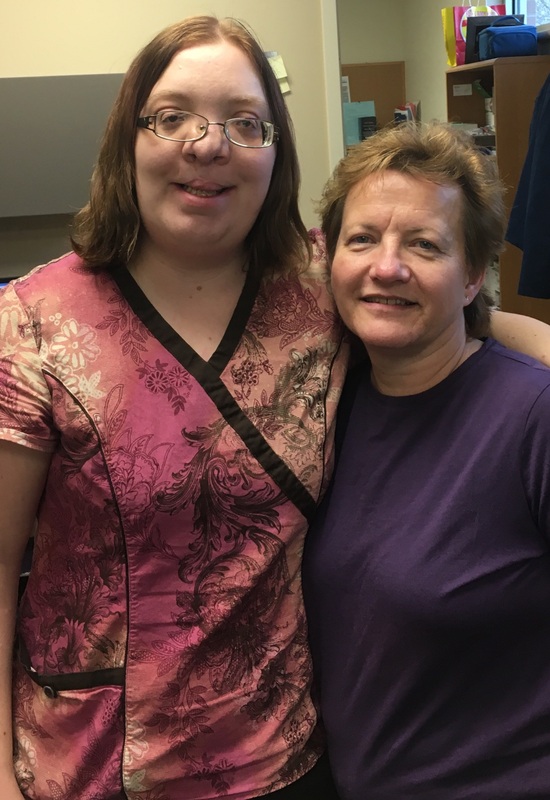 “Randi” has been working alongside of Jololene since she was a student in her medical assisting program. Randi is a graduate of Fortis College with an Associate of Science in Medical Assisting and basic X-ray technician. Before college, Randi was in a healthcare occupation program in her high school. Randi has always been interested in the healthcare field, thanks to her own heart problem. Her hobbies include reading and spending time with her family and friends.